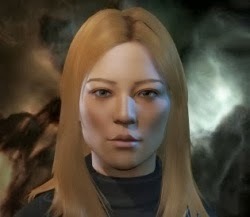 Allow me to introduce you to Agent Alyth Nerun. 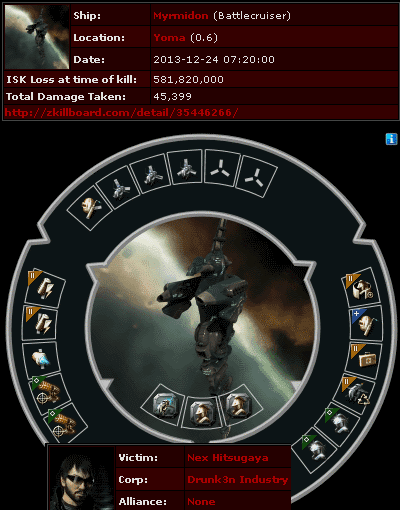 He is a respected highsec professional, skilled in the art of PvP. 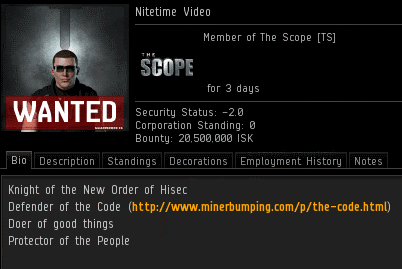 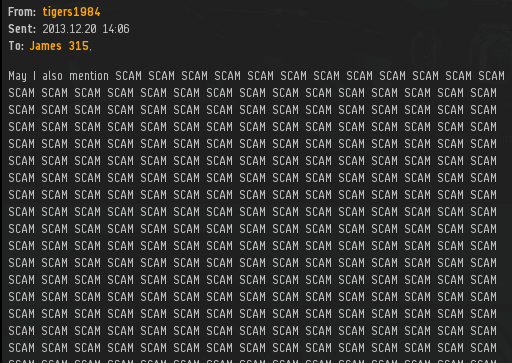 He strongly believes that the Code is the only answer to the problems facing highsec today. 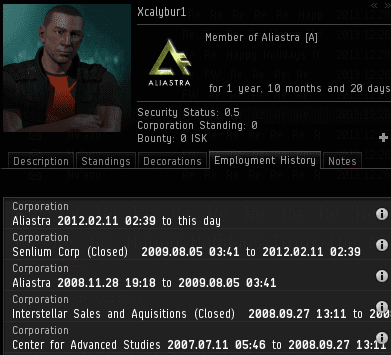 Alyth felt that the Alakgur system was in urgent need of Code enforcement. 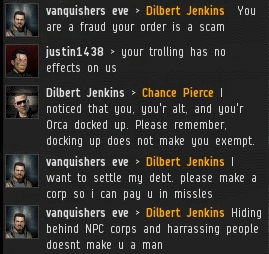 He wasn't wrong. But this is Alyth's story, and it will be told in the man's own words. 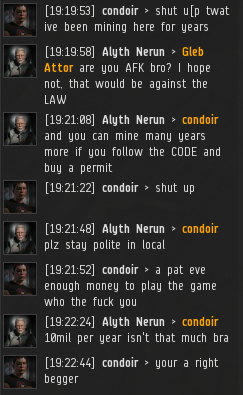 I had just begun introducing myself to the locals when a young miner with the name of condoir was not happy about me preaching the CODE, and accused me of begging. 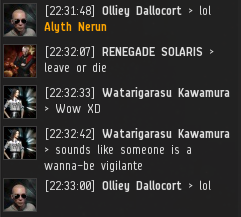 Alakgur local is usually a dead, unfriendly place, but suddenly it came alive and the miners had many questions. 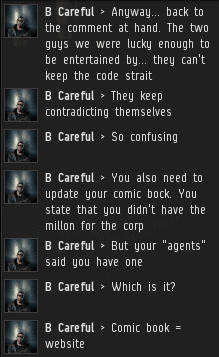 So I taught them that there is a difference between an Agent that bumps ships and Knights that terminate them. 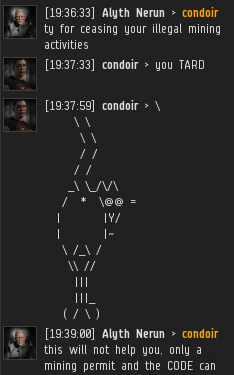 condoir, however, went silent. 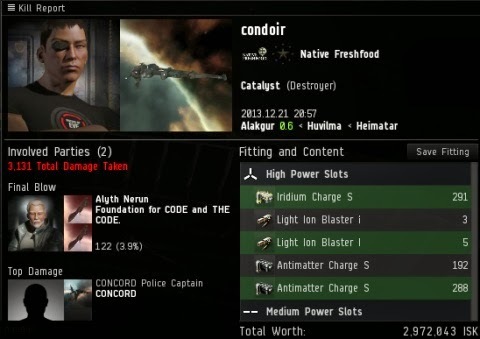 Then suddenly condoir warped in with a Catalyst and tried to incinerate my Stabber. 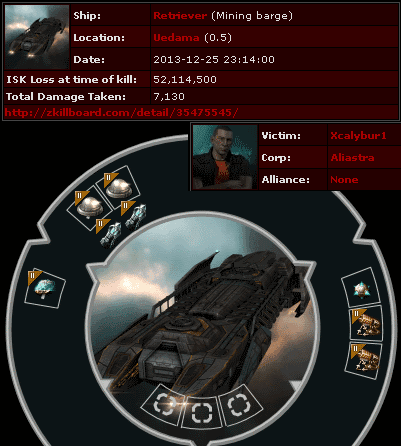 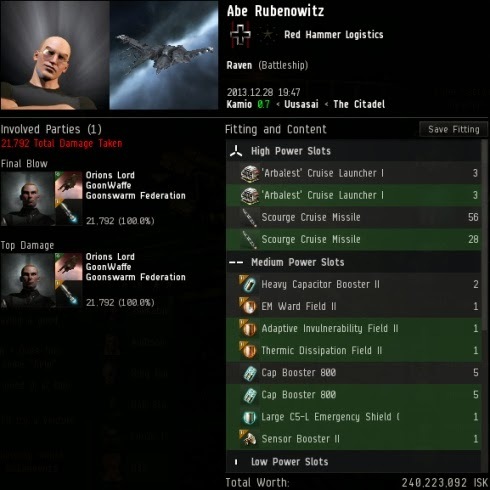 My Stabber is tanked however, and his mixed charges only scratched the shields. 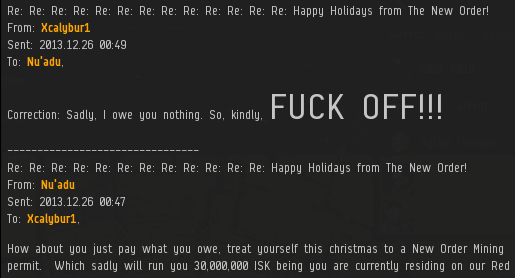 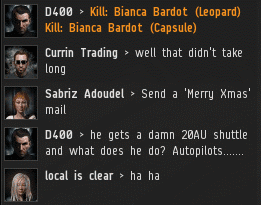 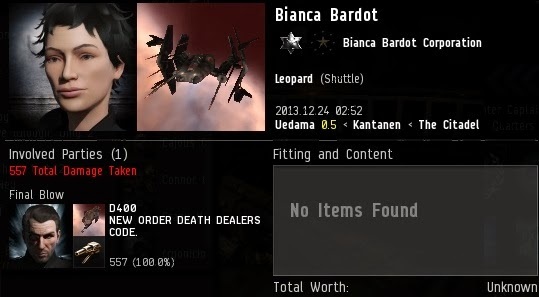 He died to CONCORD and I managed to sneak on the kill mail. 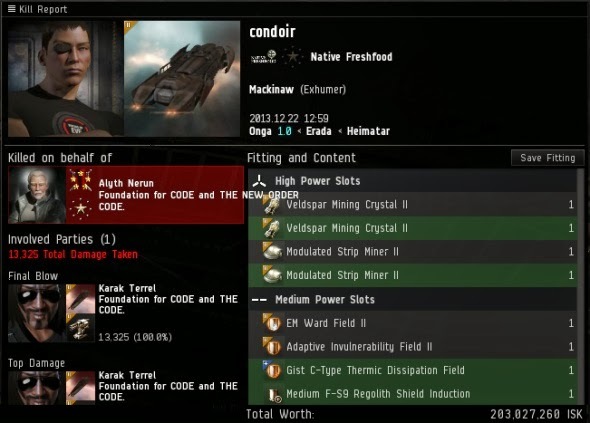 In the Foundation (my corp) we have each a specific set of skills. 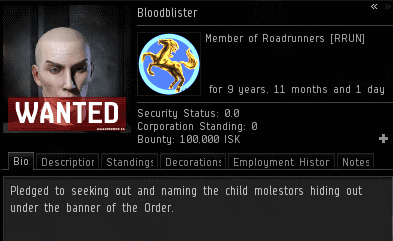 While I enjoy the work in the field and spread the CODE, Karak Terrel finds pleasure in hunting down the people who are so stupid as to attack an agent of the New Order. 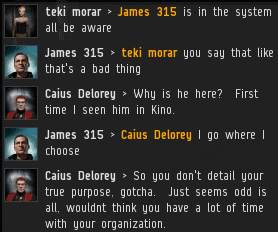 So early next morning Karak went after codoir who had relocated a few jumps down the route to Hek in the system Onga. 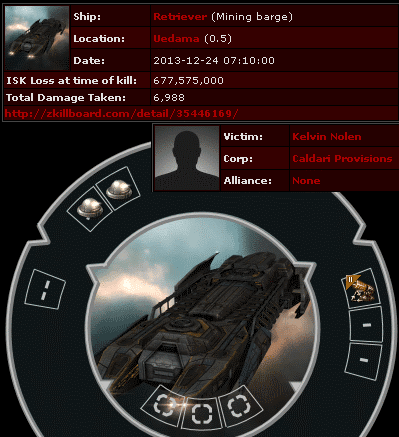 Karak avenged the attempt murder of an New Order agent and incinerated condoir's Mackinaw. 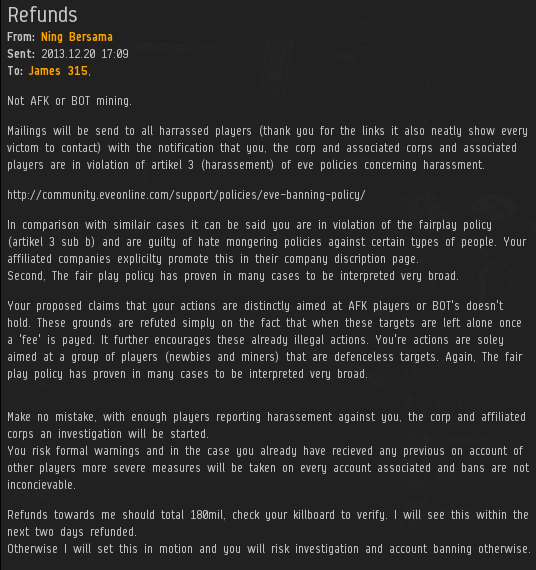 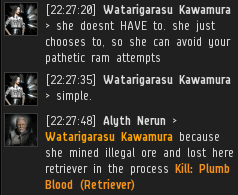 Later the same day I went out into the belt again and found the miner had returned to their AFK habits. 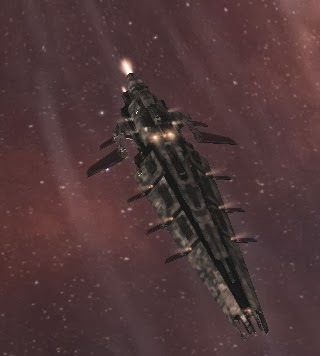 I immediately started to bump ships to enforce the CODE. 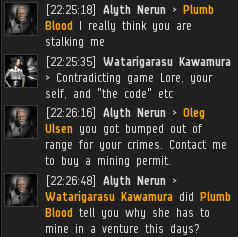 Not long after I started, the miner Plumb Blood showed up in system. 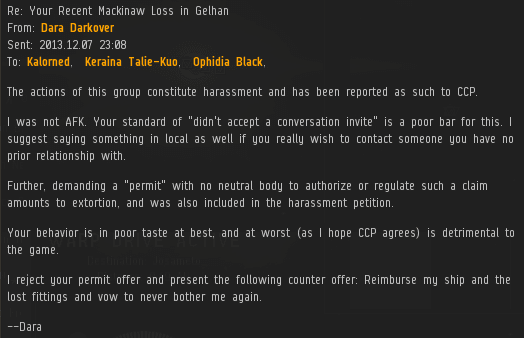 She is like a creepy ex-girlfriend that follows me around since I had to terminate her mining vessel. 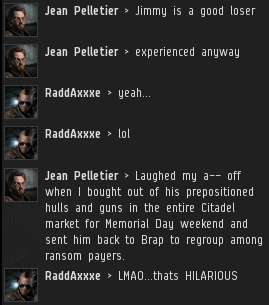 So I told the locals the story about why she has to mine in a Venture these days. 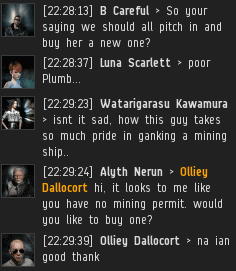 Around the same time I found an illegal miner of the name Olliey Dallocort and asked him why he was mining without a permit. 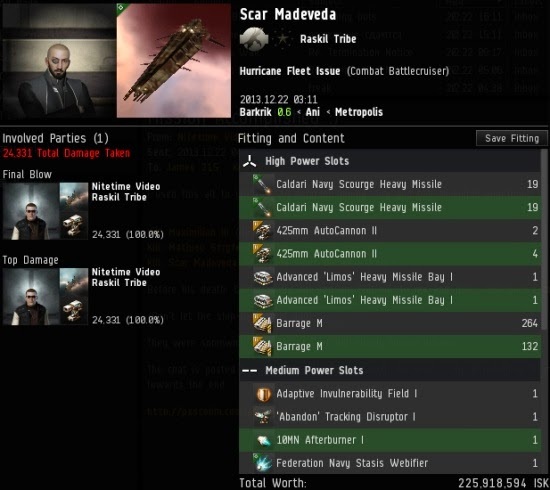 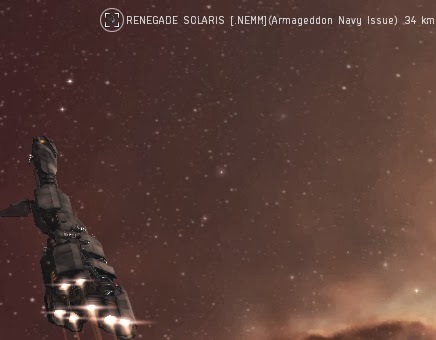 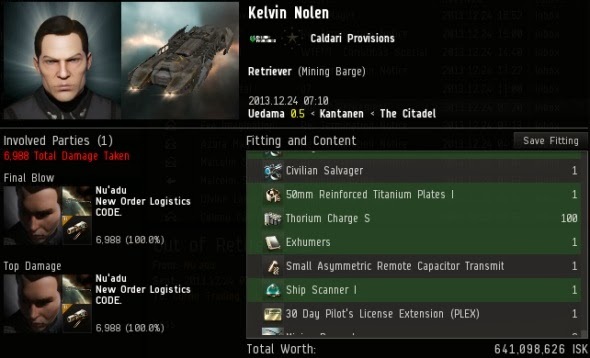 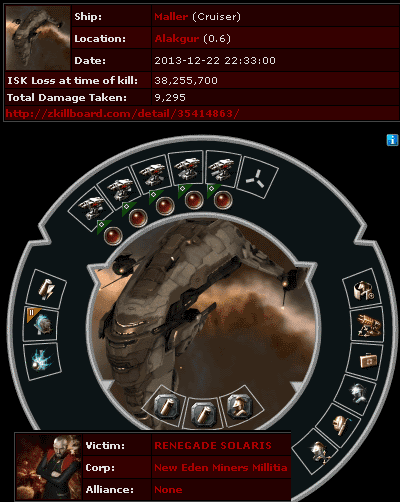 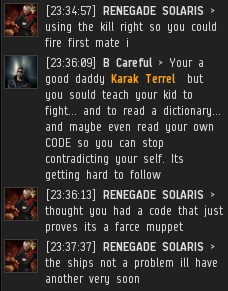 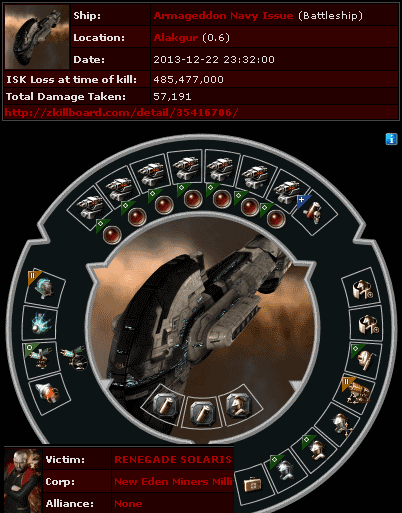 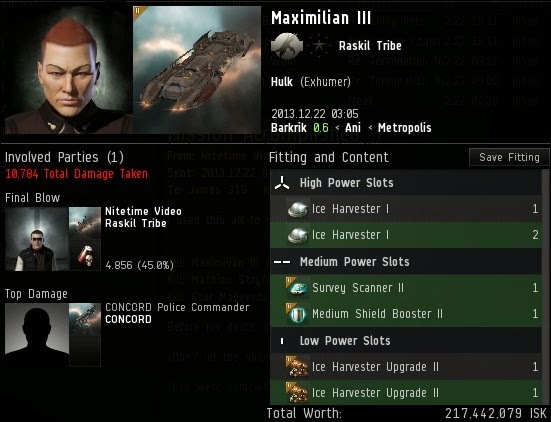 Not long after the first bump, his corpmate RENEGADE SOLARIS showed up in a Maller and told me to "leave or die". 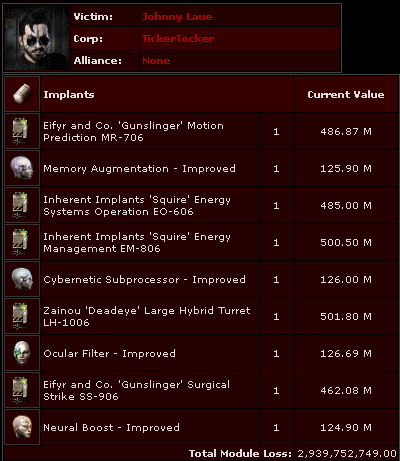 The choice was an easy one. 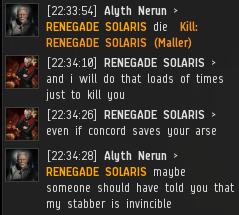 Someone forgot to tell him that New Order issue Stabbers are in fact invincible. 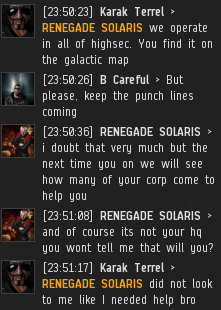 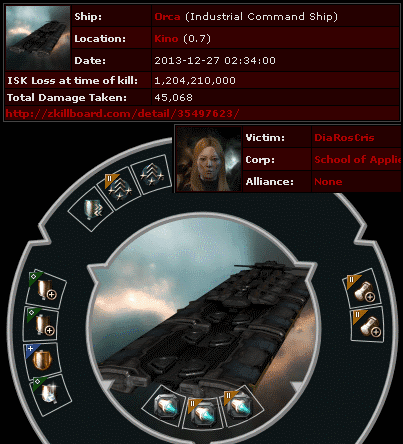 Another baffling rebel suicide gank fit tested negative against the New Order. 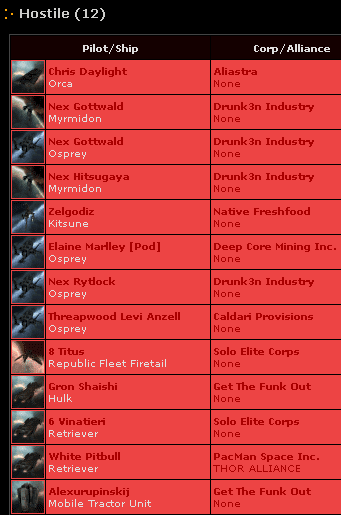 But Alyth's work wasn't yet done. 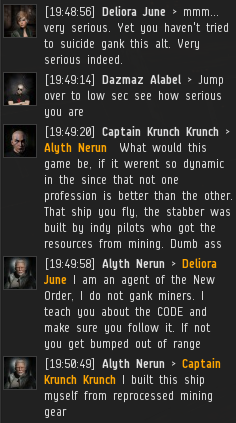 It was time to show the miners of Alakgur the true might of the Code.